Professionals of America SPFPA calling for a full investigation into their illegal practices against its members as noted and written in their SPFPA Constitution & By-laws. After further investigation by the federal authorities it was revealed that the allegations against the International Union, Security, Police & Fire Professionals of America SPFPA were in fact true. 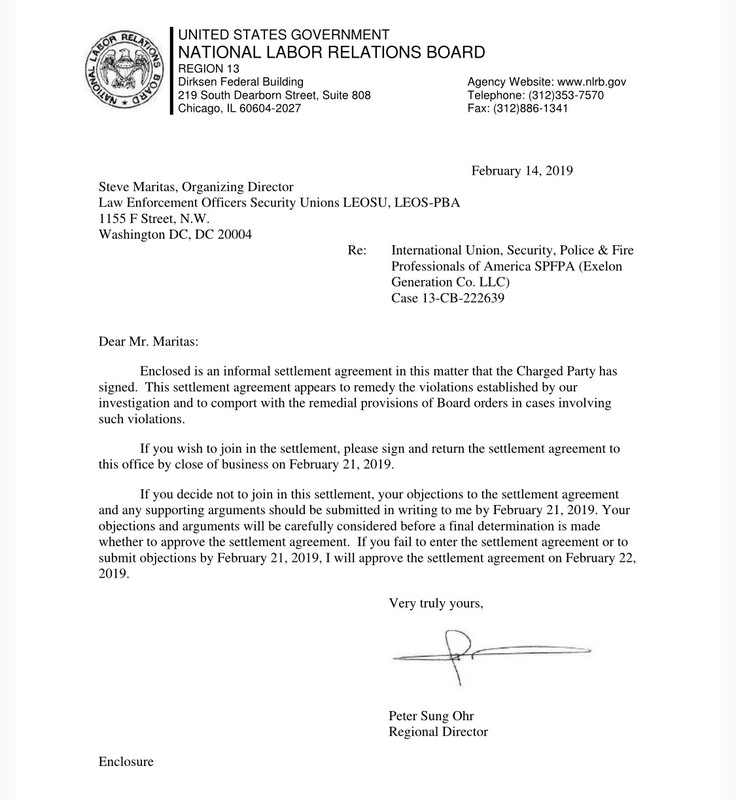 On February 14, 2019 a letter was sent to LEOSU Organizing Director Steve Maritas, notifying him that the International Union, Security, Police & Fire Professionals of America SPFPA has in fact been in violation of law and they have reached a settlement agreement to remedy the situation as noted below. Case 13-CB-222639 Subject to the approval of the Regional Director for the National Labor Relations Board, the Charged Party and the Charging Party HEREBY AGREE TO SETTLE THE ABOVE MATTER AS FOLLOWS: TRANSMISSION OF NOTICE TO AFFILIATED LOCALS – After the Regional Director has approved this Agreement, the Regional Office will send copies of the approved Notice to the Charged Party. 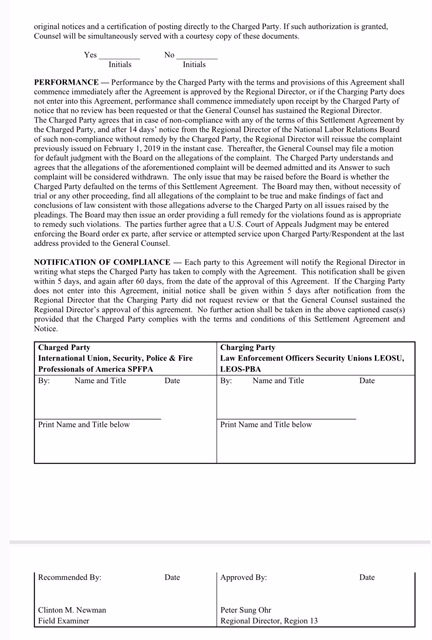 A responsible official of the Charged Party will then sign and date those Notices. The Charged Party will transmit a copy of the signed Notice to each of its affiliated local unions and will include an accompanying request that those affiliated locals distribute copies of the Notice to their members in the same manner as other notifications to members are dispersed. 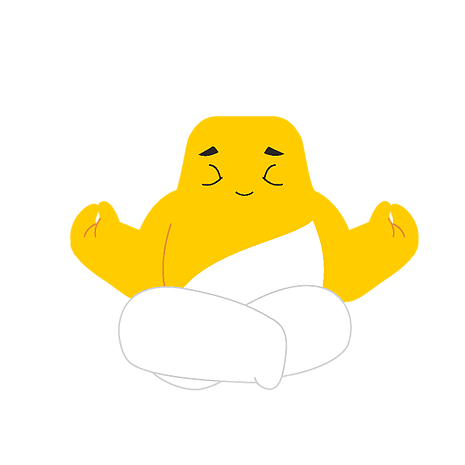 • Choose not to engage in any of these protected activities. WE WILL NOT maintain the following portions of Article XXI of our SPFPA Constitution and Bylaws within the Constitution and Bylaws or anywhere else: Section 1 (page 37) “Conduct unbecoming a Union member may include actions involving disaffiliation or decertification proceedings or the instigation thereof.” Section 14 (page 40) “In any case in which it shall appear to the International President that a member or members have engaged in a conspiracy to commit an offense against this International Union, or in those cases where a member or members have caused or instigated disaffiliation or decertification proceedings, the International President may perfer charges against such member or members of this International Union for violation of this Constitution and By ‑ Laws or for conduct unbecoming a member of this International Union, without regard to the existence of an emergency.” YOU HAVE THE RIGHT to file election petitions, and to participate in or cooperate in National Labor Relations Board proceedings; and WE WILL NOT maintain in our Constitution and Bylaws, or anywhere else, any rules that threaten you with being fined, or with any other punishment, for filing an election petition with the National Labor Relations Board, or otherwise participating or cooperating in National Labor Relations Board proceedings.. WE WILL NOT in any like or related manner restrain or coerce your exercise of rights under Section 7 of the Act. 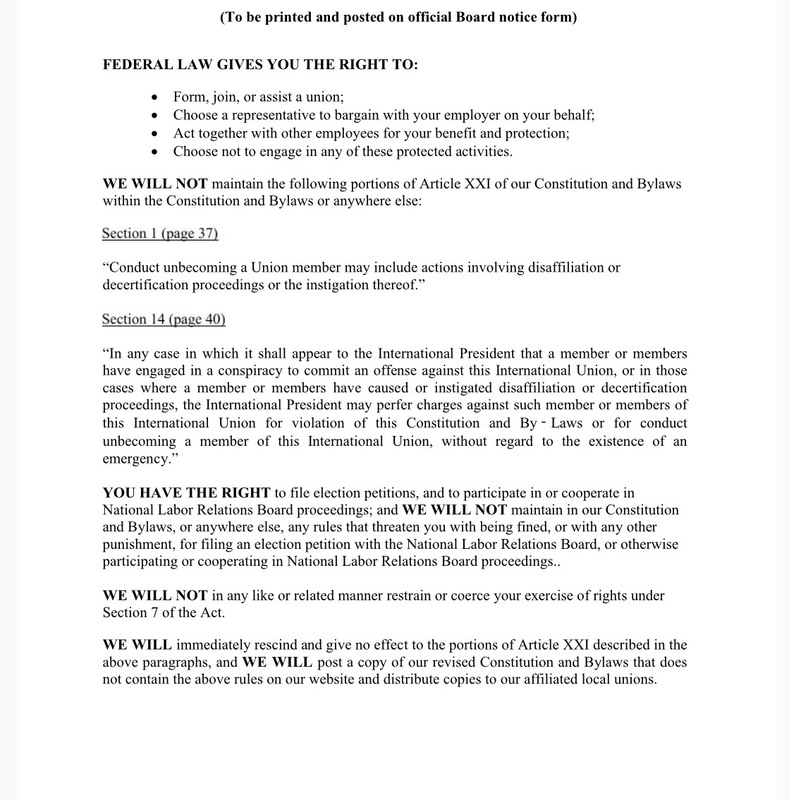 WE WILL immediately rescind and give no effect to the portions of Article XXI described in the above paragraphs, and WE WILL post a copy of our revised Constitution and Bylaws that does not contain the above rules on our website and distribute copies to our affiliated local unions. SPFPA has a Long History of Corruption and Embezzlement under the leadership of David L. Hickey. Find out more by visiting the SPFPA Corruption Blog.